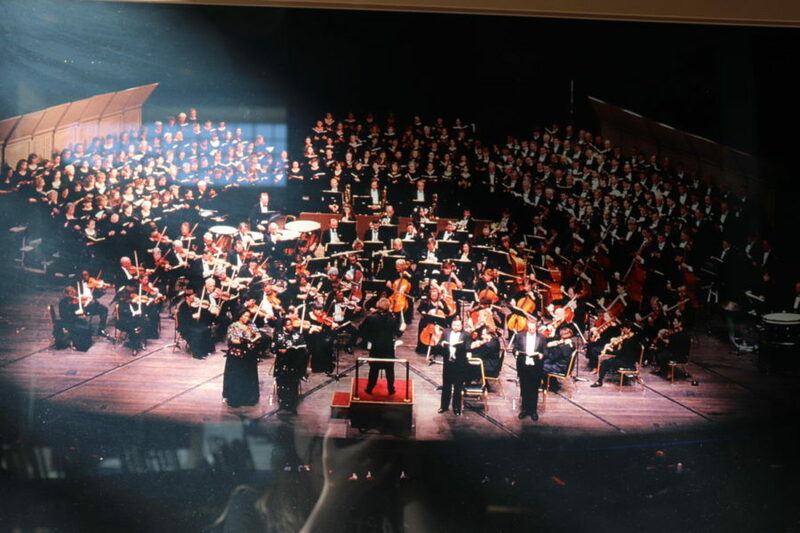 While browsing the walls on the Roanoke Symphony Orchestra, a picture of the symphony at a concert was found. The Roanoke Symphony Orchestra, or RSO for short, is a non-profit business that is located in Center in the Square in Downtown Roanoke. 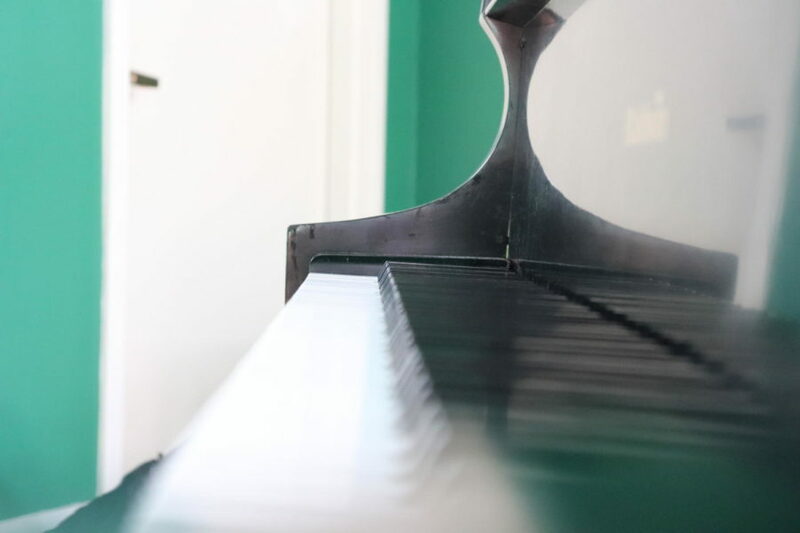 The Symphony contributes to life in Roanoke in many different ways, but one truly interesting way that it contributes to life in Roanoke are in it’s educational aspects. Executive director of RSO, David Crane, says in response to being asked about their youth orchestra, “We have students from all the surrounding counties. We do not offer the program through high schools but students sign up and audition on their own.” The youth orchestra helps to give students hands-on experience, and it also teaches them about what working with a symphony is like which helps to prepare any students who want to pursue it as a career. Along with the educational ways in which the Roanoke Symphony Orchestra impacts Roanoke, the Symphony has a Wellness Arts program which serves and helps those who suffer from Alzheimer’s and dementia. Crane tells us that when the brain is slowly undergoing the process of memory loss, the part of the brain that understands and processes music is the last to go. The Wellness Arts program is a way to help “address the physical, emotional, cognitive, and social needs” of the “community’s elderly adults living in long term care,” as stated on RSO’s website, https://rso.com. Even though the symphony looks put together when the orchestra is up on the stage and about to perform, it actually takes a lot to run an orchestra, especially with marketing and fundraising for concerts. As an executive director,Crane handles all marketing for their concerts. When asked how they do this, Crane said that they do it in many different ways, some including over the radio, T.V., and social media. Along with marketing for concerts, the Roanoke Symphony Orchestra also has to fundraise, and even though ticket sales make up thirty percent of the funds that they get per concert, the RSO also has several other ways in which they get finances or fundraise, this includes funding from the government, an annual fund campaign, and endowment. It also takes a lot to run an orchestra even without the marketing and fundraising for it. Crane says that the most important part of his job is ensuring that as an artist within the symphony, it is important to have an “artistic side”, and that as an artist, you should “play for the audience.” Which is understandable, because if, as an artist, one isn’t passionate about what they’re doing, then their performance will not reflect that and that shows that they aren’t playing for the audience. The Roanoke Symphony Orchestra is a non-profit business dedicated to the education and progression of artists and people in their community. The RSO provides a youth orchestra for students from surrounding counties as well as a Wellness Arts program that helps those with Alzheimer’s and dementia, with music. It also takes a lot to run an orchestra from fundraising and marketing for shows to making sure that the artists within the orchestra are dedicated and have a passion for their profession. So based on all of this, it can definitely be said that the Roanoke Symphony Orchestra is a very dedicated business, not only for the benefits to their own business, but to their community as well.